Unable to SSH into EC2 instance. WARNING in asset size limit: The following asset(s) exceed the recommended size limit (244 KiB). This can impact web performance. 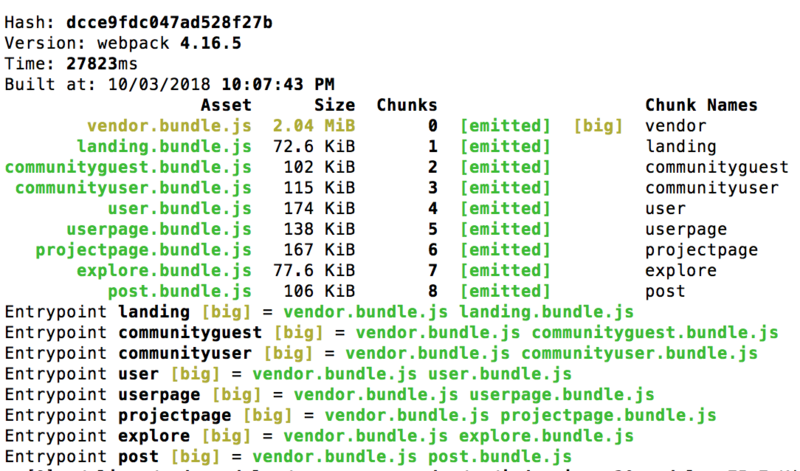 This Google Web Fundamentals post discusses a few strategies for decreasing the size and build time of your production app bundles, including using url-loader, utilizing css-loader with the minimize option, making sure you use the --production flag when building your production bundles, and a few optimizations your can include in your Webpack configuration file. These optimizations provide marginal improvements. 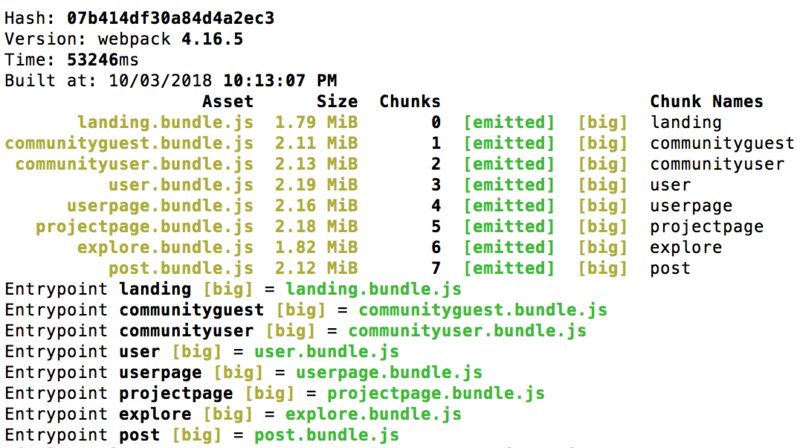 But through my other research, it became apparent that the splitChunks plugin is a necessary optimization, especially if you use a lot of big node modules like react and your app is set up with code splitting. 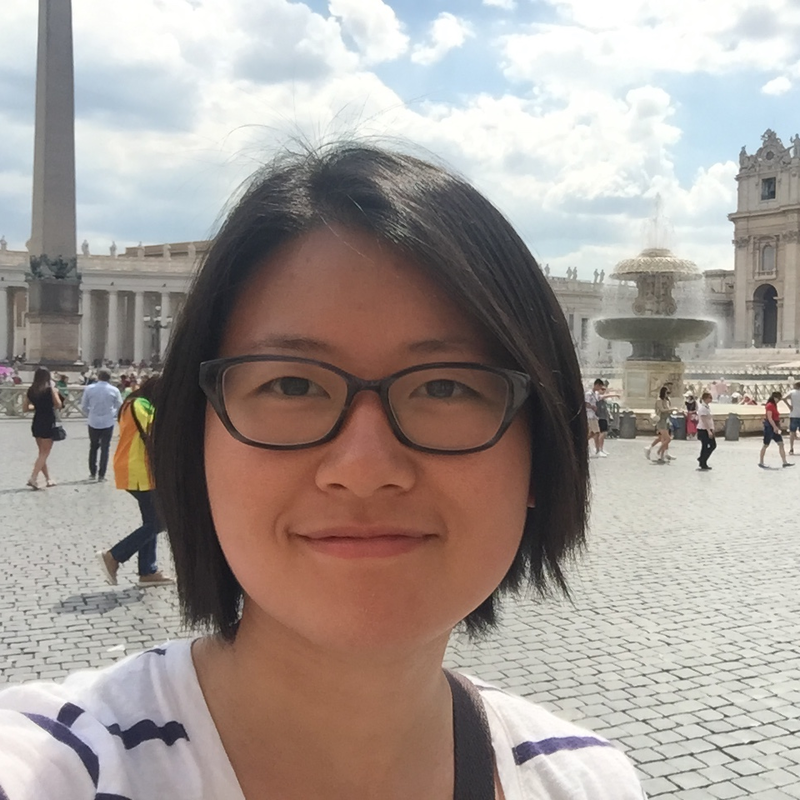 Docker is a way to manage and run containers - it is an abstraction that lets you share host resources with your application by process isolation. 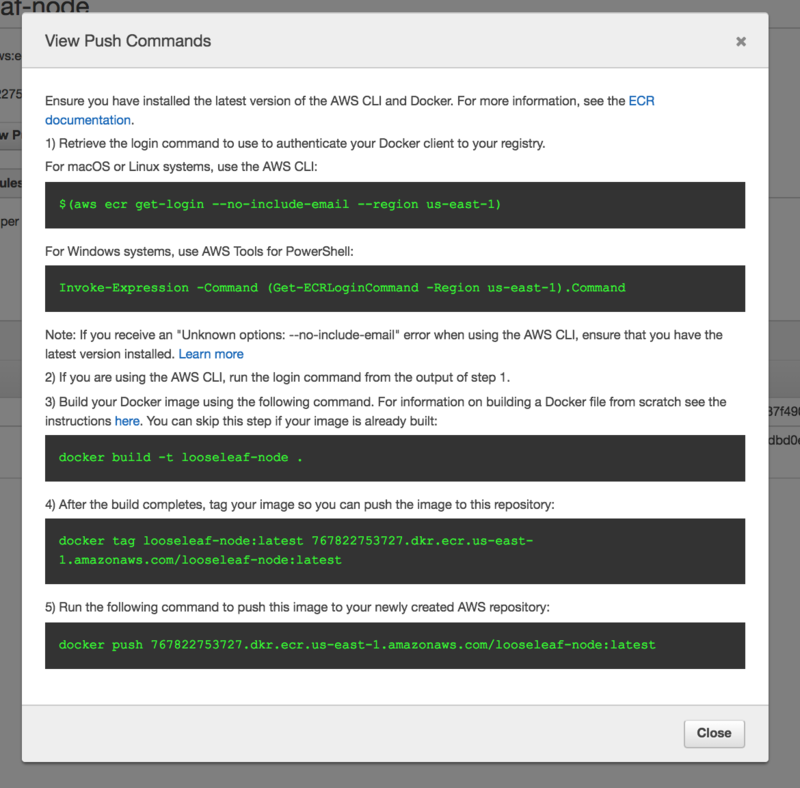 You could get started with AWS ECS using the official docs. I suggest following this tutorial from Node University which walks you through (with screenshot) an actual example deploying a node app containerized with Mongo to ECS. This video walks you through how to use the Amazon ECS console to create repository, a task definition, and a cluster. 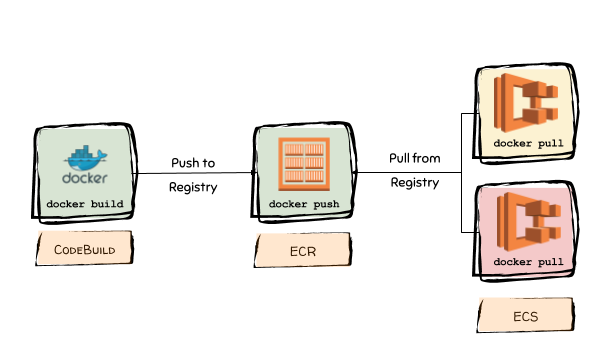 This Gist provides step-by-step procedure for creating a ECS cluster, task definition and containers, as well as load balancer. Note, the $(command) expression is called command substitution, which is a shortcut that essentially tells bash to execute the standard output of command. If we simply execute the aws ecr get-login --no-include-email --region us-east-1 command, the stdout is docker login -u AWS -p <really really long hash string>. We’d have to copy-paste the whole string into the command line to login. Executing the $(aws ecr get-login --no-include-email --region us-east-1) command saves us from that extra step. [ec2-user ~]$ docker info | grep "Data Space"
Image source: cloudonaut, originally from Amazon Web Services in Action, Second Edition. 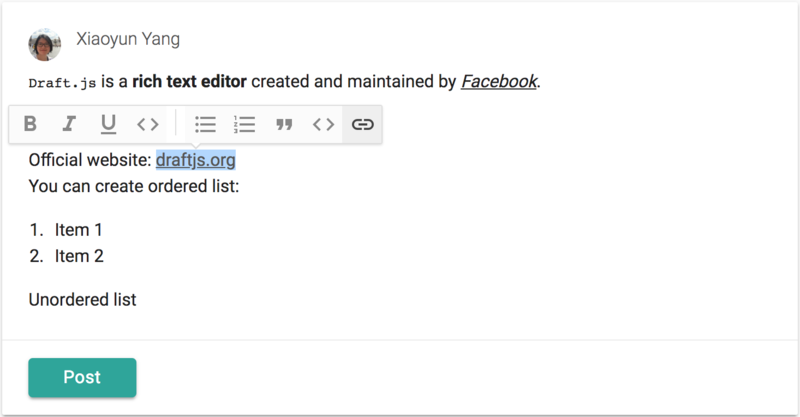 This Gist provides step-by-step tutorial to set up AWS ECS with EFS. Note, there’s an error in the gist’s tutorial in the task volume mapping. See below for the correct mapping. Create a KMS Encryption Key. Create a security group for the EFS filesystem that allows 2049 inbound with the source being the EC2’s security group. Name the security group EFS-access-for-sg-dc025fa2. Replace “sg-dc025fa2” with the security group id of your EC2 instance. Create a new EFS filesystem. update ECS cluster’s CloudFormation template per the gist instruction. 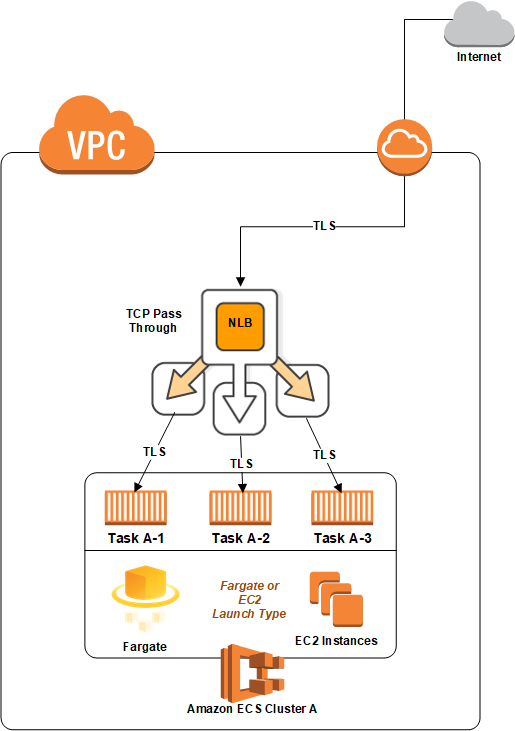 Update service in ECS to use the updated Task Definition. Scale instances down to 0, then to 1 again. This terminates the existing EC2 instance and then spins up a new EC2 instance using the new Task Definition and CloudFormation script. EFS mounting should be automatically done by the start script in CloudFormation. The Task Definition volumes mapping ensures the EFS mount target is hooked up to the mongo container. Before you try to restarting your instance and run the automated script in the CloudFormation template, it’s a good idea to try to ssh into your instance and do make sure you can do everything manually. See the gotcha section for more on that. 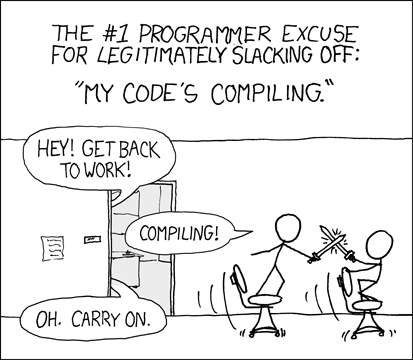 Run the following command. If you see a similar output on the last line, that’s a good sign. Go to CloudFormation. click on the Stack corresponding to your ECS-Cluster. Log in to the container instance via SSH. Go to AWS console ➡️ EFS. Click on the file system. There’s a link on the page that reads “Amazon EC2 mount instructions”. Click on that link, then execute the commands listed. Validate that the file system is mounted correctly with the following command. You can verify that your Amazon EFS file system has been unmounted by running the df command to display the disk usage statistics for the file systems currently mounted on your Linux-based Amazon EC2 instance. Update the /etc/fstab file to automatically mount the file system at boot. Replace fs-613c8628.efs.us-east-1.amazonaws.com with your actual file system DNS name. After mounting the file system on the host container instance, we want to create a Task definition to use the Amazon EFS file system. 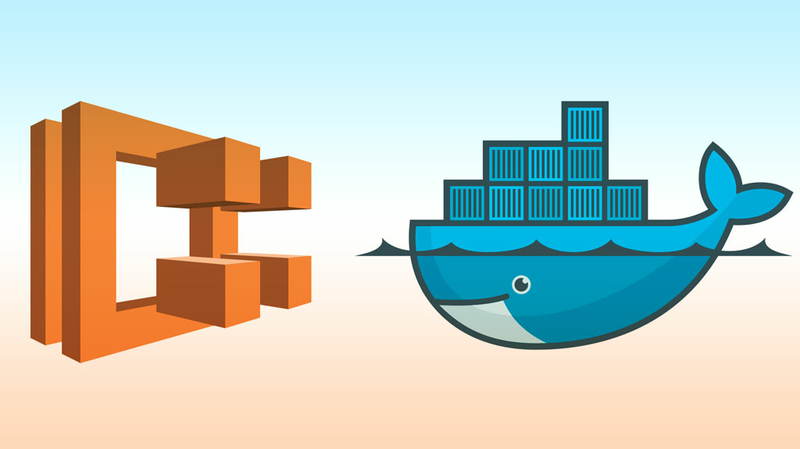 Let’s create a volume mount in our ECS task definition that allows our containers to access the file system. Allow the ECS container instances to connect to the EFS file system via mount targets in your VPC. Workloads where many small files are written in a serialized manner, like git, are not well-suited for EFS. EBS with an NFS server on top will perform much better. Security group is not set up correctly. According to this thread on AWS forum, the problem may lie with the configuration of the mount target’s security group. Use this guide for more on how to create security groups so you can use Secure Shell (SSH) to connect to any instances that have mounted Amazon EFS file systems. This tutorial walks you through how to create a security group for your EFS File System. What we want is to have two security groups, one for your EC2 instance and another for your EFS file system that connects to your EC2 instance. Where sg-8b033bee in the “Source” field of the image above should be the actual security group ID of your EC2 instance. Make sure both security group’s VPC IDs are identical and equal to the VPC ID created when you first created the ECS cluster. As an added security measure, it’s a good idea to specify the IP address when you open up port 22 for inbound communications (under inbound rules settings). If you are taking this approach, make sure to whitelist all the IP addresses from all the location where you work (e.g. your office, home, co-working space) as the IP address will be different. Otherwise, the ssh attempt will hang and time out. Don’t use it. Use AWS ECS instead. Their tutorial (part 1, part 2) is pretty good though. See which process is running in port 3000, then kill that process. you could also use the following command to see that EBS drive is provisioned with the EC2 instance.